Animal Rights activists take their message to 3rd St. Promenade in Santa Monica on Memorial Day to protest the use of live animals in experiments at UCLA and Cedars Sinai. 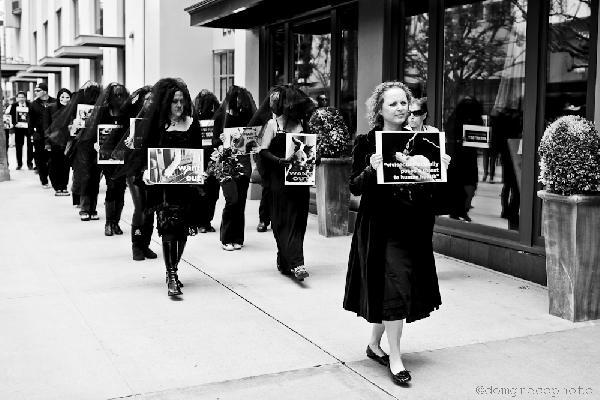 Veiled Animal Rights activists dressed in black carry a coffin and signs down one of Los Angeles busiest shopping streets on Sunday May 29th in memoriam for the millions of animals that die annually in laboratories. Passersby were stopped in their tracks as the procession wound it's way slowly down 3rd Street Promenade organized by Stop Animal Exploitation NOW! 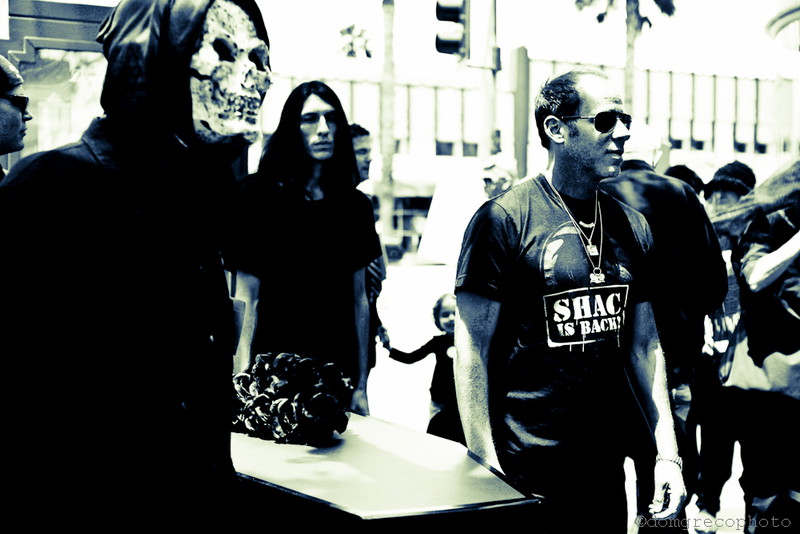 Los Angeles chapter. Funeral procession protesting animal experiments on 3rd Street promenade in Santa Monica.